August in a Tweet: Hollywood loses Tony Scott, whilst cinema gains plenty of unlikely heroes: talking bears, Scottish princesses and gun-toting OAPs. Everyone was talking about... the Olympics! But also the apparent suicide of British director Tony Scott, who died after jumping off the Vincent Thomas Bridge in Los Angeles. Best Scene: Flash Gordon actor Sam Jones hilariously riffing himself at a house party in Ted. 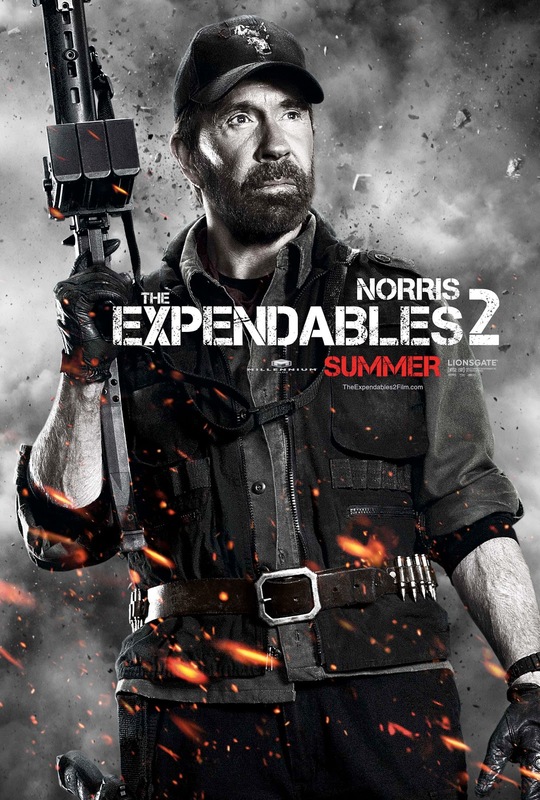 Best Cameo: Chuck Norris tells a Chuck Norris joke in Expendables 2. Best Line: 'Chris Brown can do no wrong!' John (Mark Wahlberg) in Ted, during a flashback to 2008. Other Best Line: 'I'm back!' Trench (Arnold Schwarzenegger) saves the day in The Expendables. Missed Opportunity: instead of casting Jean-Claude van Damme as the villain, they should have recruited some young action heroes like Taylor Lautner to play the bad guys. That way, we would cheer even louder when the crusty old veterans win. RIP: Tony Scott - the world paid their respects to the director of Top Gun and True Romance.